India is one of the highest producers of salt in the world owing to its abundant resources in the country. The salt is of high standard and purity and found in abundance for domestic consumption. Various salt brands are market in the country with guaranteed quality. Brands like Tata, Nirma, Captain Cook, Annapurna captures a huge chunk of the market. Before going though the top salt brands here is an overview of the benefits of active salt found in India. As the age old tag line goes, ‘desh ka namak’, is being recognized as one of the leading salt brands in the country. 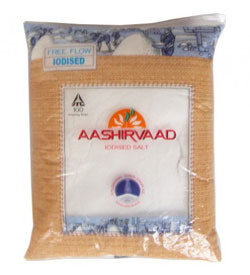 This iodized salt brand uses the vacuum evaporation technology to come up with healthy and hygienic output every time. 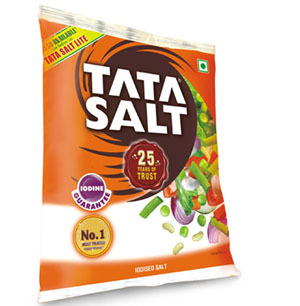 It is also considered as the most trusted salt in the consumer market in India. 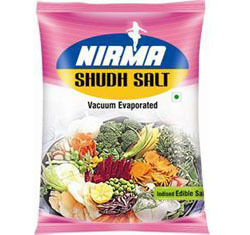 Nirma Shudh Salt is another premium salt brand in India. It too uses the vacuum drying process. The process behind its production is fully automated which help sustain the basic characteristics like iodine content, free flow nature, saltiness, whiteness and the size of the granules and quality of salt. It comes in a pocket friendly price. The brand Aashirvaad symbolizes mother’s pure and selfless love. When it comes to its salt product, it is high in quality, free flowing, iodine content and purity. The salt is iodized and is obtained by evaporating sea water or brine in shallow basins subjected to sunlight and wind. This popular salt brand keeps you healthy and fit in every stage. 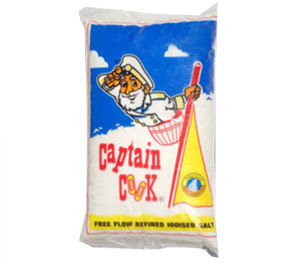 Captain Cook is another top salt brand in India. The salt is iodized and free flowing in nature. The size of the granules and quality of salt is top notch. It is manufactured by evaporating sea water or brine in shallow basins subjected to sunlight and wind. The process hence is fully automated. 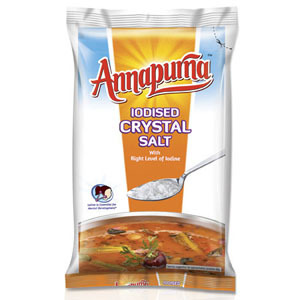 Annapurna is one of the best iodized crystal salts in the Indian market. It has 15% less sodium compared to other normal salt. The salt takes care of your fluctuating blood pressure levels and keeps it under controlled. This free flowing salt also keeps your heart at good health. 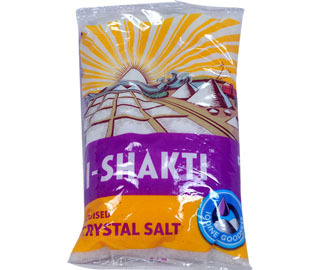 I-shakti Salt is a free-flow solar-refined salt heavily marketed in India. It helps in keeping a check on the fluctuating blood pressure levels and to take good care of the heart. The salt is manufactured by evaporating sea water in shallow basins subjected to sunlight and wind. 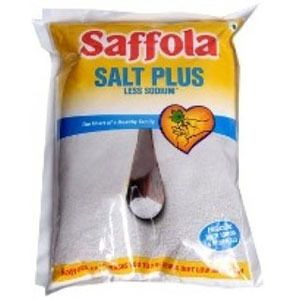 Saffola Salt Plus has been extracted naturally from the sea and hence is enriched with the goodness of iodine and minerals. The salt is high in potassium and calcium compared to the ordinary ones. The low sodium content reduces the risk of high blood pressure and keeps the heart healthy. 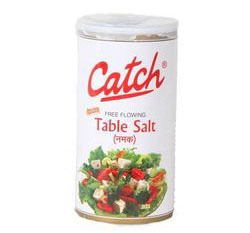 Catch Table Salt is another popular salt brand in India. This iodized salt reduces the risk of iodine deficiency in humans and takes care of thyroid gland problems such as endemic goiter. Due to its essential nutrients, calcium and iodine content it can be consumed by the whole family. 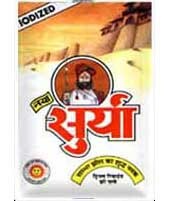 Surya salt is a famous salt brand in India. The salt, calcium silicate, sugar, and potassium iodide make it an ideal sprinkle in any dishes. It helps get rid of thyroid gland problems like endemic goiter reduces the risk of high blood pressure and keeps the heart healthy. This salt brand keeps you healthy and fit in every stage. 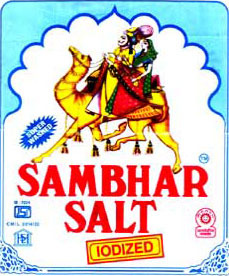 Sambhar salt is another reliable salt brand in India. It reduces the risk of high blood pressure, rid of thyroid gland problems like endemic goiter and keeps your heart going. It also helps in maintaining the perfect body weight and promotes physical activity with low sodium and high potassium and calcium level. You may also love to go through our collection of the top spices brands in India.